The wait for my first horse continues. I still haven’t even started saving yet, but the conversation over what kind I want is a frequent one between myself and a particular friend. As I grew up staring goggle-eyed at my favourite event riders, my heart is still somewhat set on a big, shiny sport horse (Thoroughbred, Warmblood, Hanoverian, Trakehner… something with that kind of stamp to it has always been my fantasy). They can be impractical, delicate creatures, because I would also like a horse who can be a horse: one who can cope with living out at least part-time year-round, who hopefully doesn’t need five rugs, and I’m quite keen on the idea of him being barefoot (curiously, the gender of my horse is the thing I get teased for the most – I’m absolutely determined not to have a mare, and my friend is now convinced that’s what I’ll get). Rather than setting my heart on a colour, breed or age, I’m trying to consider what I’d like to do with my mythical horse. Though “like” and “achieve” are clearly different things here. I still quite like the idea of sailing around Badminton, but I have neither the talent nor guts, so I needed some other ideas. And I was sold. Because, although horses are my future career, does it really have to be super-technical all the time? Is it not supposed to be about what I enjoy the most? And if that is simply to be able to see over hedges and not have my horse fly sideways if a bird pops out at him, is there a problem? At this point, I’ll throw in that I don’t condone the helmetlessness of these riders, and that I fully intend to continue wearing my helmet (I see no problem with dressing up and putting a wig on top of my helmet to complete any appropriate look!). But Western riding is so much more than I ever gave it credit for. Laura Sumrall’s ride has gone somewhat viral. The thing I took away from watching further videos of that particular competition was the parallels to freestyle dressage, but the huge differences – how great is it that the crowd get to cheer, and show their appreciation during the performance?! You can see horse and rider lift themselves when they get that feedback, and they look so excited, rather than stiffly focused as riders often do during a Kur. Riding is fun! If we look like we’re enjoying ourselves, how many more people might we inspire to take up the reins? A few weeks ago during Blog Hour, I mentioned some brands that I’d like to engage with more directly. 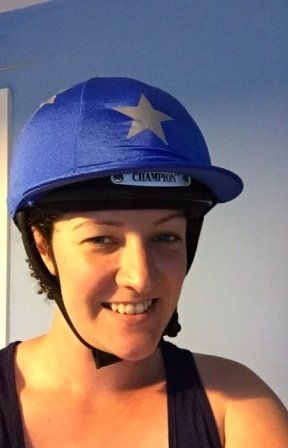 The manufacturer of my own choice of horsey headgear responded, and their PR rep – Jenny at Halcyon Days – organised for them to answer some burning questions I had. My questions were passed to Managing Director Sarah-Jane Fedarb, and her answers are below. Many thanks to Jenny (and, again, the world of Twitter!) for setting this up and liaising, and thanks to Champion for answering my probing queries. What triggered the development of contemporary vented helmets at Champion, and how long did it take from the decision to design them to helmets being available on the market? Champion recognised that some riders found their head reaching uncomfortable temperatures many years ago, even in the usually cool British weather! Champion first offered a ventilated hat back in 1999 which was the Champion Universal. This design was a great success and laid the foundations for the many ventilated designs we now have on the market today. A new hat design will on average take 12-18 months from the signed off concept to the hat being available in store, however this can increase greatly with more complex styles. How long does it take to manufacture a helmet? Here at Champion, we source components as close to our factories in Cardiff as possible, so if we had all the components for a particular style in hand, a hat can easily be made in less than one day. All of our hats and helmets are batch tested by British Standards Institute to PAS 015 2011. A benefit of the PAS015 standard over some other standards is that it insists/stipulates that a style of hats be manufactured and type tested, and then batch tested regularly. Many bra manufacturers have been publicly criticised for charging a higher price for larger sizes – what is the reason for the greater cost of larger riding helmets? Clearly, the price difference for adult and junior sizes is due to VAT, which is EU legislation rather than company policy, but why charge customers with larger heads more money? Champion offer a range of hats that can be worn by both adults and children, and the only difference in the price on the larger sizes is where we are legally obliged to charge VAT. We do not charge more for larger sizes and cannot comment on the policy of other industries. There is only a small difference in the product costs for different sized hats and we are happy to help make retailers and consumers lives easier by keeping the price the same for all sizes. 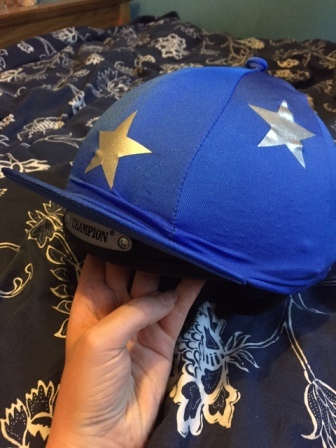 At Champion we also offer a range of ‘Junior’ hats which are designed for children and are VAT exempt in the whole range of sizes, as some children have larger head sizes than adults. Again we do not charge more for the different sizes in these ranges. What inspired the development of female-specific body protectors, such as your Freedom design? As you have probably guessed it was the female form that inspired our new range of ‘ladies only’ body protectors, as in general men and women have very different body shapes. Our designers and engineers ably undertook a lot of investigative work into the female form and the best designs to ensure maximum comfort and protection and our Female form body protectors are the result. The response has been excellent, with many women now much happier and more comfortable in their body protector, so are more willing to wear it on a regular basis, which can only be a positive thing from a safety point of view. But as before – why the increased cost for a larger size? Might this encourage customers to try and save money by buying the smaller sizes? We would hope that no-one tries to purchase an ill-fitting hat or body protector for themselves or their children as this could compromise their safety, and we go to great lengths to train all of our retailers in how to correctly fit both hats and body protectors. An ill-fitting hat can be dangerous. When some children are new to riding there can be an understandable temptation for their parents to want to buy some products with ‘growing room’, however this is not possible with hats or body protectors as a close fit is essential and when you consider the excellent protection that these products offer it is worth investing in correctly fitting safety products. As with the hats, for body protectors we are legally obliged to charge VAT once products hit a given size. However there is also a different price for each size of body protector as the components, and fabrics are very expensive and they make up the bulk of the price. A large adults size body protector has virtually double the fabrics and expensive high tech foam of, for example, a small child size, therefore pro-rata the bigger sizes warrant the increased price. We do a range of Champion clothing and do not charge more for the larger sizes in our waterproof and breathable, rip stop blousons, fleece hoodie, base layers, polo shirts etc as the extra price of these fabrics on the larger sizes can more easily be absorbed across the range. The use of helmet cameras caused uproar at the end of the 2014 eventing season, and things remain unresolved – would Champion potentially work with governing bodies, riders and camera manufacturers to resolve this and further innovate equestrian products? As a concept we love the idea of helmets cams, and have enjoyed watching videos taken by riders when galloping around a track or course. However we do not have any experience of helmet cams or the potential for repercussions of wearing one in the event of an accident. Because cameras are mounted on the outer surface of helmets they add extra risks, such as being caught up in branches when riding through a forestry bridle path or increasing the chance of rotational injury if the camera snags when impacted. For these reasons it is important that the cameras mounting systems are able to break away easily during an impact so as to not act as a lever trying to turn your head during an accident. There are other concerns with the mounting systems where the adhesives and screws could affect the impact properties of the shell, which is more relevant for helmets built with plastic injection moulded shells. Some cameras are very small and do seem to be easily detached, but at this moment additional testing to investigate the above risks has not been developed. Do Champion help customers to be “green” in any way? Although helmets in their original form can’t be recycled (especially if in an accident) is there any component which can be recycled, or any incentives offered to customers, such as an amnesty when replacing their old products? Due to the very nature and intention design of a riding hat, when it absorbs the energy of an impact it becomes damaged and needs to be safely disposed of. We are not aware of any facility to recycle either the outer shells or the internal liners. We are not aware of any British manufacturers who offer such incentives. What can equestrians expect to see next from Champion, what should we be getting excited about? Champion is continually developing new products and looking for innovations to existing products. We continually improved our BSEN1384 hats, which were all exceeding this rigorous test by around 30% when the standard was unfortunately withdrawn in late 2015. We have recently launched a number of exciting new products to the market, which are already receiving a fantastic response from retailers and consumers alike. These include the unisex Evo-Flex body protector, which is extremely lightweight and brings body protector style and comfort to a whole new level. We have also recently launched a total of 11 new styles of Champion riding hats, bringing a total of 26 new variations to market for improved customer choice in 2015. While all these new helmets are selling extremely well, the front runners in our Junior range are our new X-Air Plus Helmet and the sparkling new X-Air Dazzle. Even riders who aren’t such a big fan of ‘bling’ are really taking to the Dazzle! Within our adult range, the new top of the range ‘Evolution Pro’ riding hat has also been extremely well received, thanks to its striking, modern and high-tech design. We also have the new X-Air Plus, the Euro Deluxe Plus and the Air-Tech Plus, all of which are kitemarked to PAS015 and so are all suitable for use in competition in 2015 and beyond. What did you think of Champion’s responses to my questions? I was interested to hear that helmets can be made in a day, and that companies like Champion consider additional technology such as cameras with relation to how it impacts the efficacy of the original product. I’m slightly disappointed regarding the sizing issue, as I know of shops which charge increased prices for larger helmet sizes within the adult range, though it’s good to hear that this isn’t something that the manufacturer endorses. It’s also exciting to hear about the constant innovation that our changing horsey world has on product development. If you’d like to know more about the products mentioned above (I still highly recommend the Ventair, which has changed my life! ), you can check out the Champion catalogue online. Do you have any burning questions for suppliers to the equestrian industry? Twitter could be our forum, who shall we put under the microscope next? The American adventure of 2014 is over, and it’s time to take stock. 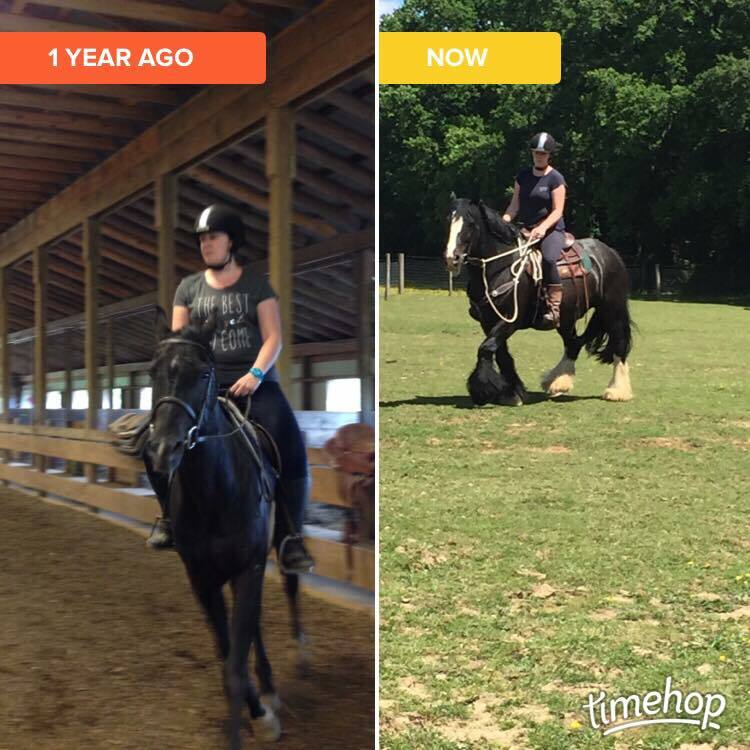 Through the course of 2014 as a whole so far, I feel as though I have begun to refine my place in the horse world, and where I might like to take my career. I’m still hesitant to say it aloud or commit to it in writing, because I’ve changed my mind before and may do so again. Part of this is also down to the fact that my outlook has gone through some big changes this year, and I’m still getting used to them. My horsey future is actually currently remarkably uncertain: I’ve returned home with nothing but an empty bank account, so the priority has been to find a source of income, and I decided not to be fussy about the job in question. What actually happened is that I got offered my previous winter job back, and decided to take it – it suits my current purpose of earning money, it’s something that I enjoyed, and it’s fixed-term (I’ll be working in a pop-up shop until Christmas). As it’s just for the festive season, I know that I won’t get stuck in the trap of being content to earn money in a straightforward job – I’ll be forced to find something else in the new year, which gives me time to find something more focused towards the long term… if that’s what I decide I want. Because the other option is to spend another summer at camp. The offer’s there already, I just have to accept it. But at the moment, I’m not sure whether or not that’s the right thing to do. I’ve got some thinking to do! So my life for the next few months is dedicated towards a little shop: as always with my jobs, it’s goodbye to weekends and, as I don’t have my own car but live in the countryside, evenings are going to involve nothing more than sitting at home. Where does this leave my riding? Well, the run into Christmas is probably going to be horse-less for me. I’m not returning to the riding school I was visiting earlier this year – it was a miserable experience that I have no desire to repeat. The friend whose horse I was riding prior to camp has moved to a different part of the country – it’s been a great move for her, her husband and their animals, and I’m incredibly fortunate to be able to go and visit for a couple of days before I start work. When I looked back on my wishlist from 11 months ago regarding what I’d like to achieve in terms of my own riding, I’m happy to say that there have already been some successes, and I’m unsurprised that there are also already some deviations. The biggest win for me is that I think (I say this a little hesitantly) I’ve got there with my confidence issues. When I look back on this one, a lot of it was tied to my riding situation at the time – the place I was riding at really wasn’t helping me, which is a huge shame. Fortunately, the problem has, I think, resolved itself. I needed time, I needed to rediscover my belief in my own ability, and I needed a reminder that I could fall in love with a horse again. 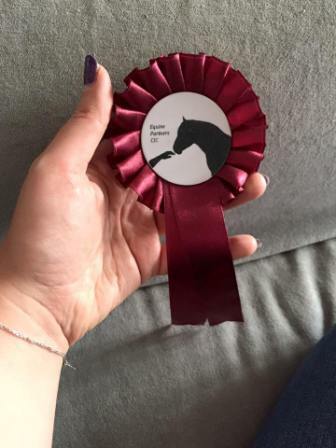 I still wouldn’t get on a strange horse and happily pop it over a series of fences, but I’ve forgiven myself for that because, realistically, how many people would? Yes, you do that sort of thing if you’re a true, gung-ho jumping professional. Or if you’re an adrenaline-junkie 12-year old. Or if you’re an adult who suddenly gets excited and feels like they’re 12. But nobody’s forcing me to do that. I’m not on a deadline, I can go at whichever pace I choose. The itch to jump is well and truly back and, having done this before, that’s far more than half the battle. 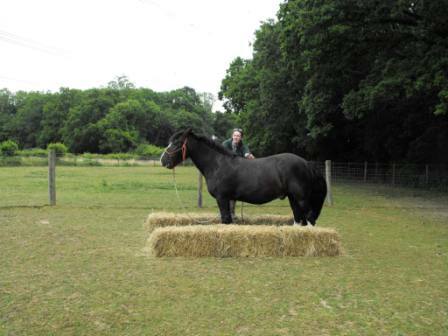 I’ve made huge progress this year with the idea of working with my own horses, though not in the way I anticipated. It hasn’t been so much about schooling a horse and achieving something which is correct and looks pretty, but it’s been more about improving relationships and behaviour. I was given almost carte blanche with the horsemanship programme at camp, and largely left to my own devices if I didn’t have any students. It was a daunting task, as my experience is still so limited, but I just had to get on with it. 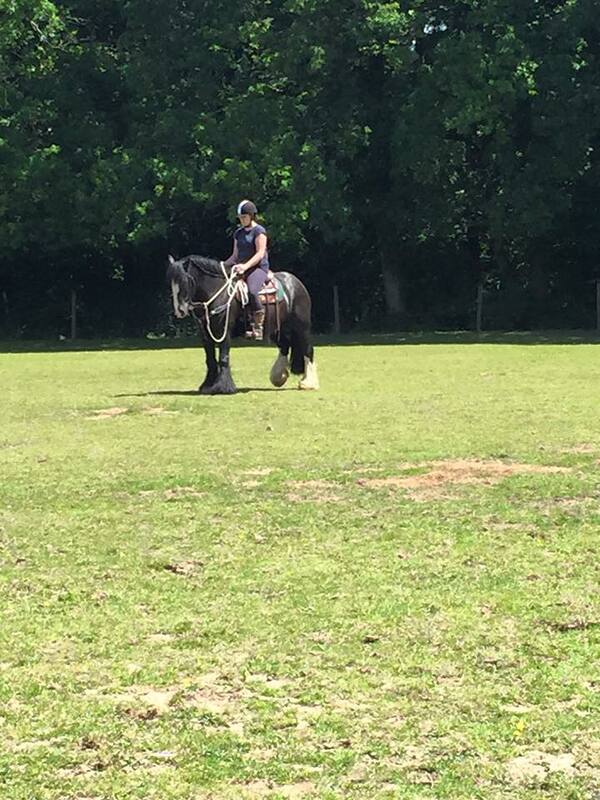 I quickly developed a coaching pedagogy for myself, the horses and the kids. With or without realising it, I was assessing and adjusting as I went along, and taught myself a lot about patience and progression. Whilst there’s still a lot for me to learn about producing horses, I’ve made a self-guided sort-of start. The idea I was probably least certain about is the one I’m still most reluctant about – undertaking qualifications. A very wise person advised me that the best way to change something is from within it: I agree with this sentiment, but I’m not sure that I’m in a position to overcome some of my feelings towards this system at the moment. There are a lot of positives to being part of a secure system and a large organisation, but I struggle to see beyond some of the bigger negatives at the moment. I haven’t abandoned the idea completely, it’s more that I’m trying to figure out which part of it will work best for me and my future. It’s a debate I’ve been having for a while, as I think more and more about when I might be able to take on my first horse: is it better to learn from a schoolmaster or to take on the unknown of an animal who is as green as you are? 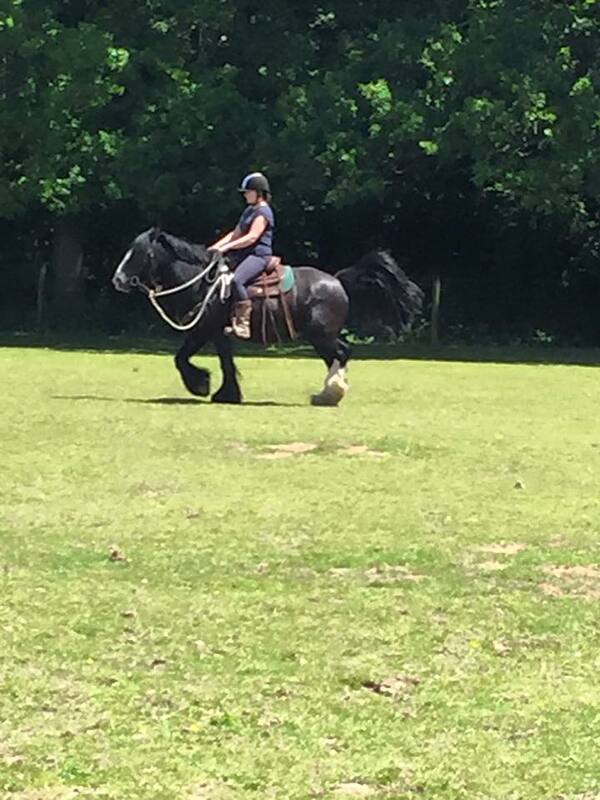 It’s always struck me as a little perverse that most riding schools will teach beginners to ride on older plods, choosing to allocate the clients mounts who are safe, but who must be ridden in such a way that all they are able to learn is how to stay on a horse who barely moves. The clients are essentially taught many bad habits during this process, as the animals are often so introverted, catatonic and dulled to the aids of a human being, and as the clients progress they must learn to break these habits rather than refining the skills they have previously learned. But I do understand the general logic of teaching people to ride on a horse who somewhat knows his job, rather than a scatterbrained youngster. 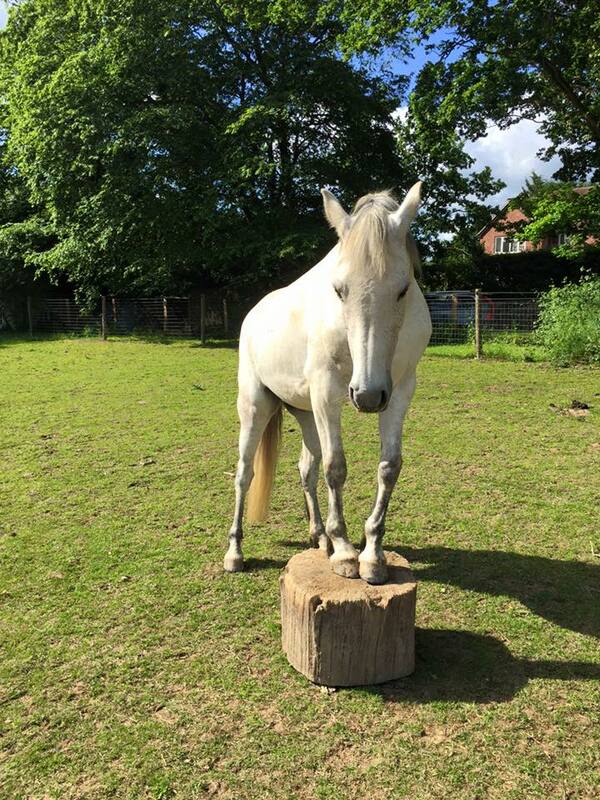 I began practicing natural horsemanship skills on a horse who’s mostly been there and done it in terms of the discipline – his owner knows he could still improve, but those improvements relate to more isolated situations or pushing on to a higher level. The horse could read me like a book, knew I was a beginner at wielding ropes but not new to horses, so he went easy on me for a session and then proceeded to test me. The experience mainly provided me with an idea of what is achievable, but it didn’t help me in terms of how to start from square one and what I should expect in terms of timescales. When I arrived at camp, I was faced with a very mixed bag of 30 horses and an enormous challenge. It seemed daunting enough when my task was to throw all of my spare time and energy at improving the difficult horses, then I was also faced with the idea of teaching kids how to do what I was still learning to do. There was a lot of trial and even more error. It’s taken me nine weeks and seven students to figure out what I currently think is the best approach, but things have begun to pay off. 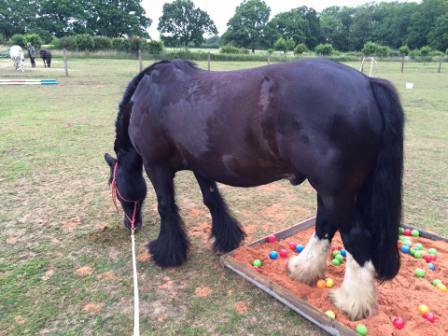 There have been weeks of feeling like the blind leading the partially sighted and deaf – some of the horses may have done this before, but I have no way of telling, so I just encourage the kids to deal with what’s in front of them, rather than trying to guess where the horse has been before or who he had a fight with in the field last night. Mostly, the kids have picked different horses to work with, but my musings on experience versus learning together have come from working with one horse and child partnership for six weeks and, when the initial child left for the horse to get a new partner for three weeks. The new child and already-started horse then joined a class with a girl who’d been with me for three weeks: technically the partnerships were at different points, and so were the campers, but the horses were also very different. It was a juggling act to say the least, and to the untrained observer, the newest student could possibly have looked far more proficient than the girl I’d already been teaching, because her horse had had more training. In fact, the variety of partnerships I’ve been teaching all peaked at a similar time: each horse and human combination grasped the same exercises during the same week, irrespective of how long they’d been participating in the classes. By the end of the third session of camp, I had six partnerships (seven if you count the original pair) completing the same level of exercises and more than ready to move on to the next step. The final girl to join the programme had become more proficient in handling all of the equipment; the flightiest horse was happy not just to stand still for the basic exercises, but also to successfully complete the more complex ones which other horses had accomplished a few days sooner. As we all progressed as a group, my teaching and organisation came on. I developed new ways of explaining various elements of the tasks, as well as putting things into context in a different way for myself and my students. I began to see how different things related to each other, spotting patterns thanks to the different personalities I was working with – both equine and human. I don’t think it’s a coincidence that, when I figured out how to join a few dots, I saw a faster progression in my students. Horsemanship is a strange thing to teach because, although there is a progressive nature to it, you can’t really put a deadline on things, or walk into the arena and say for certain that you will achieve something specific. It depends on the horse. It depends on the human. Sometimes, it depends on which way the wind is blowing or who ate what for lunch. All you can aim for is better. This frustrates some kids and excites others: for the goal-orientated, it’s hard, as they like to have something to tick off their list; for those who are goal-phobic, it’s great, and the only limit is their imagination. The more we achieve as a group, the more I have to have in mind – I have a vague and secret plan as the instructor but, like a magician, I don’t show the kids my cards, because I don’t want them to see it as a race. It matters to me that they get everything absolutely right before moving on, and I find so far that this works better when the next step is concealed. The – slightly scary – conclusion I’ve drawn is that my preference is to learn alongside my equine partner. It’s perhaps harder, as if it’s your first attempt at learning something new, you’re teaching both yourself and the horse. Mistakes will be made, and it’s taking things the long way around, but at least it gives you a model to work from (even if the model is imperfect, or a route you wouldn’t use again). That said, I think it’s better to learn in this way whilst being supported by someone with experience. It’s been a long-term dream of mine to have a very young horse and ultimately back it myself, rather than sending it to a trainer, so I think this has always been my philosophy, I just hadn’t fully realised it. It’s certainly satisfying when you work and grow with the horse, learning together and eventually getting the result you want in the way you’ve chosen. And it’s definitely gratifying to coach students through the same process, observing and helping as they figure out the way which works best for them and achieve something enormous with the partnership they’ve created. What are your experiences? In an ideal world, would you attempt to break new ground with your horse alone, or would you rather learn from an old hand? When I first knew last summer that my job at camp would involve escorting kids on ridden trails, I felt a huge sense of responsibility to both them and myself. I saw it as a privilege – rather than a right – that my boss trusted me enough to take kids and horses out of her sight and control. 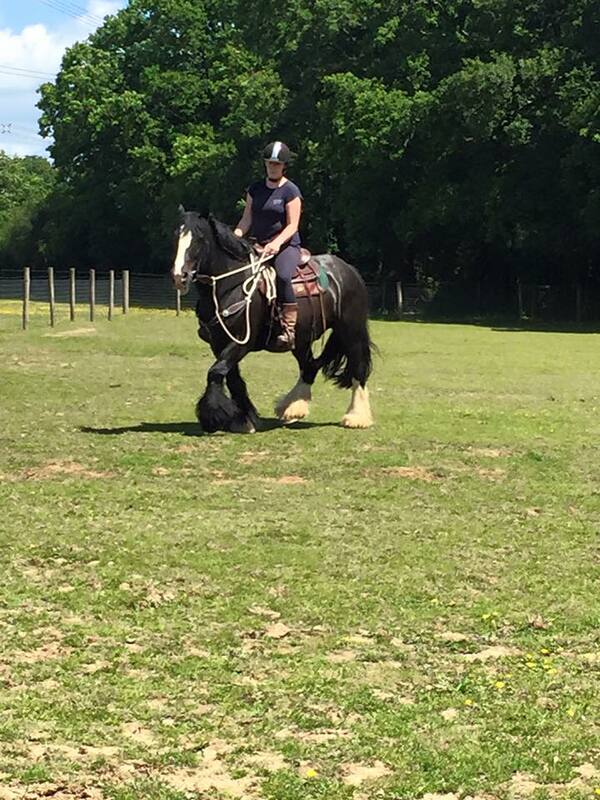 Those who don’t know horses might think that there’s only so much that you can do in 45 minutes… they’d be wrong. Anything can – and does – happen when horses are involved, so I was acutely aware of the fact that these rides wouldn’t often be at my own pleasure. I quickly learned that when you’re escorting a ride, you’re mentally riding each and every horse in your group. You’re trying to anticipate their movements and help the riders out, whilst ensuring that everyone is safe and enjoying themselves. It’s a juggling act and, until you know both the horses and the kids, it’s pretty nerve-wracking. And even when you do know your equine and human companions, you can still only guess as to what’s going to happen. There are strict rules for trails where I work, which my boss has developed during her 10 summers at our camp. There are certain parts of the trail where the only gait you can travel at is a walk, and times when you must use your best judgement from day to day. At the beginning of the session, trotting is forbidden, as the horses have had a few days off and are pretty lively. Trotting is also off the table if the weather has been poor. Cantering is only okayed once riders have successfully cantered in lessons – something which is just plain common sense. Despite the rules, we had a few issues last summer, but I doubt there will be any surprise that I stuck to the rules religiously. I wanted my kids to be safe and not scared. But above that, I didn’t want to be the one who returned home with a horse who had left behind a shoe or sustained an injury. The weather was incredibly hot for much of last summer, and our horses all work around four hours per day, so I was also reluctant to flog them. I also didn’t want my privileges to be revoked, so I did my best to play by the rules. It paid off, as I’ve been given a good number of trails this summer too. My boss will supervise the departure of many trails, but leaves me and our other returnee to sort ourselves out, trusting our knowledge of the horses to allocate them appropriately to campers and decide on a suitable order for the ride. I taught one of our frequent fliers for all six weeks of his stay this summer, meaning that he and I have wandered the trails with his class many times. He’s always appreciative of our rides, and taking him out is a great experience. When his final trail arrived, my boss decided to come with us, even though the numbers didn’t dictate it to be a necessity (her rules are one staff member to every two or three campers, depending on horses and rider ability – this class is my advanced one and, as I only had two students, I always took them out alone). I knew from the beginning that it would be fun, partly because the responsibility was off me as I was happy for my boss to take charge. She rode at the front on one of my favourite horses, and I was on her favourite horse at the back – a change from our usual situation. This was actually our first ride out together with campers in our two summers working together – she prefers that one of us remains at the barn at all times, rather than escorting trails together, but this was an exception. As both campers are capable riders, it was a speedy trail from the outset. We waited and walked through the early rocky stages of the trail before taking a quick trot up a side road to the open field which serves as our usual cantering space. Sure enough, there was a canter around the side of the field towards the woods beyond. As it was the end of the day and we finish that class a little early to feed the horses, I knew we’d have to go some in order to get home, but my boss was determined and flexed her rules with good judgement. I wasn’t surprised when we trotted a couple of the less muddy sections, but was a little shocked – though pleased – to get another brief canter. The trail descends along an old riverbed before snaking up through the woods – it’s my favourite section of our trails, because when the light catches just so, the view through the trees is beautiful. I didn’t get to see my favourite view this time: we trotted up the final steep section, and I saw my boss canter away once the path levelled out! There are a few sharp turns, but the horses were more than capable and seemed excited to get the chance to blast around the woods. 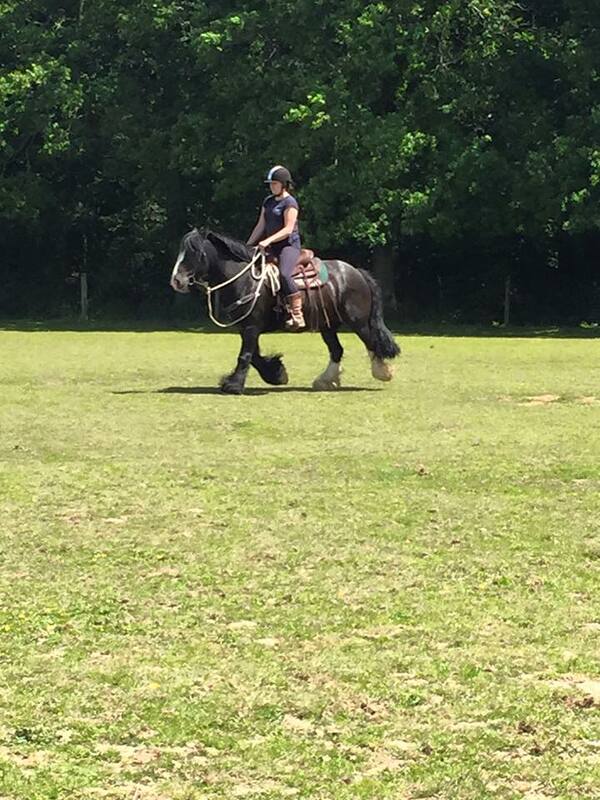 My riders handled the ride brilliantly and I got to kick on and enjoy myself as my horse powered along the track. When we emerged from the woods, my boss turned in her saddle and announced we’d have a final canter, and that this time she was going to let us go a little faster. We surged through the tall grass along a track I could probably canter smoothly in my sleep, and pulled up grinning at the corner of the field to begin our amble home. We made it back to the barn in good time to help with feeding, and I dismounted feeling exhilarated after my ride. It had been a fun week on the trails for me, after the previous session had been a slight washout with the amount of rain we’d had, as well as being the perfect way to say goodbye to a treasured student.